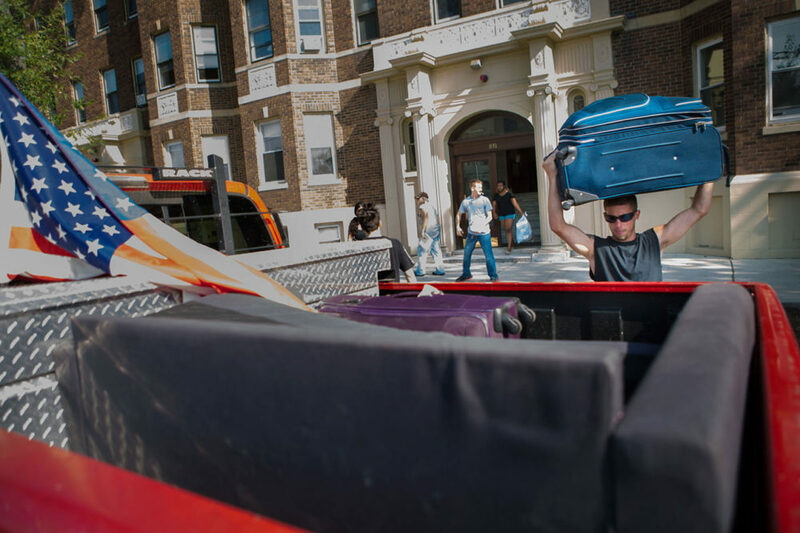 Thousands of college students are descending on Boston this week for the annual campus move-in. They're also moving in to off-campus apartments in neighborhoods like Allston, Brighton and Mission Hill. And also descending on these areas: dozens of city inspectors, seeking to ensure apartments are up to code. "We're there to help," Buddy Christopher, the commissioner of Boston's Inspectional Services Department, told WBUR's Bob Oakes on Monday morning. "We're not there to evict students, we're there to make their living experience in Boston a pleasant one, so they can focus on the educational part of their life, as well as the experience of Boston itself." Christopher urged students to use Boston's newly established 311 system to report rental problems to city officials. Click the audio player atop the post for WBUR's interview with Christopher. On Sunday, inspectors cited a property owner in Allston with at least 30 violations — for rats, mold, broken smoke detectors and too few exits. The city's inspectors have been under greater scrutiny since a Boston Globe Spotlight investigation on unsafe off-campus student housing. City officials also said they're ready for all the trash and unwanted furniture left behind during the move-in and move-out process. "We have extra trucks out there for bulk items like TVs and ACs and items like that that can't go into landfills," Mike Dennehy, the interim commissioner of the Boston Public Works Department, told WBUR last week. "We're just trying to plan accordingly, and we'll have a truck of each type in these highly college move-in areas." -- 63 Percent: the percentage of Boston rental leases that begin on Sept. 1, according to the company Rental Beast (via The Boston Globe). -- 2,263 Permits: the number of moving truck permits issued by the city of Boston for the days around Sept. 1, according to the city. -- 25 Incidents: the number of "recorded height restriction-based incidents on the three Charles River-adjacent roads, with a concentration around college move-in and move-out dates," according to the state. -- 10'-0": the clearance of many bridges around the Charles. Too-tall moving trucks getting stuck on the roads is a back-to-school tradition.